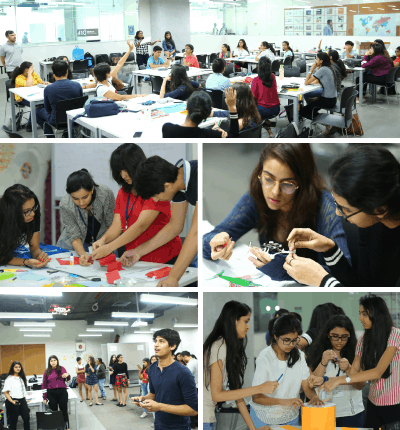 Pre-College Academy summer program – ‘Introduction to Design Studio’ was aimed at students from Grades 9 to 12. A two week Summer Program that provides a wealth of exposure in design. The primary objective of this program was to help students explore design and develop skills through hands-on projects that promote creative thinking, problem solving and collaboration. This involved multiple ways of making including sketching, mapping, mood-boards, visually expressing in varied mediums, 3D modelling etc.